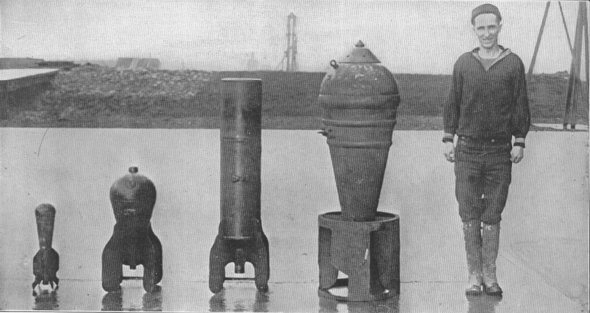 BOLTS FROM THE BLUEMost Americans in France were entirely too familiar with the results of aerial bombs but few knew what they looked like before they exploded. Here are four different types pictured with a bluejacket to show the different sizes. 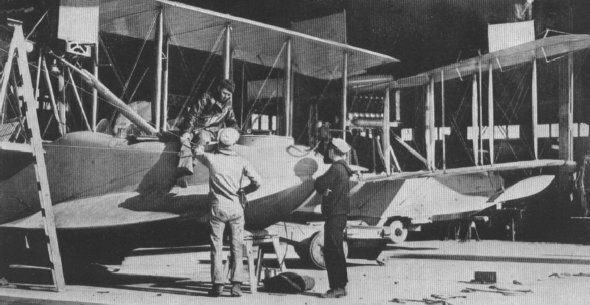 MORE PLANES FOR THE NAVYNaval aviation mechanics assembling flying boats at a base port in France. The airplane was indispensable for spotting U-boats lying beneath the surface. Navy planes attacked 43 submarines, sinking 4 and damaging others.